Forget Farming Simulator's 'open island' farming, forget the unadulterated fun of Demolition Company, TML Studios have set the true benchmark of vehicular based simulators, and they've only gone and done in a true authentic open world setting; and no better than in the streets of San Francisco. So get ready to hit the streets of The City by the Bay in one of the most detailed and sophisticated bus simulators out there. You begin your humble career with a simple diesel bus and all the ambitions in the world. A visit to the Exhibit Hall will present you with your overall goals; owning all of the unique unlockable vehicles, including the School Bus, Sightseeing Bus, Trolley Bus, Cable Car and Bendy Diesel Bus. Each vehicle isn't just a shiny new model to perform your bus route in; they all have their own unique bus routes across the city of San Francisco. To top it off, each new vehicle can be unlocked via two means; a lot of cash, or a couple of rewards. Rewards are the game’s unique achievements system that can reward you with money, and allows you to unlock new vehicles without having to part with wads of cash. Rewards come both positively and negatively; positive rewards will get you vehicles, whereas negative rewards will hinder your chances. You can receive rewards from simple accomplishments like being extra friendly to your passengers, or seeing all of the sights in San Francisco, negative rewards will be branded onto you through bad driving, sloppy service, and leaving potential passengers behind. The rewards system is a fantastic addition to Bus and Cable Car Simulator which makes it more of a game and less of a simulator, marrying the two in a strange deformed entity that is both a rewarding and satisfying way of progressing through the game, its also the most unique system of its kind; drowning in a sea of useless trophy achievements. The most remarkable aspect of Bus and Cable Car Simulator is that it is an open world game of sorts; you are free to roam the city of San Francisco, use the public transport, drive to schedules across the city, and even have a nap in your apartment. Whilst this is an amazing step in simulators, it also has its limitations; much like the early 3D Grand Theft Auto games there is little interaction to be had in the city; however the mere possibilities are a fantastic step forward for the lowly regarded simulator genre. Traffic on the streets of San Francisco is terrible, and with the amount of AI cars set high it’ll be almost impossible to keep to schedule with your bus duties. The AI is particularly good for a simulator, and cars will change lanes and actually look like they are headed somewhere. The same can be seen in the pedestrians that will cross roads, amble along the pavement, and step onto AI controlled buses. If your PC can handle it, all AI systems can be populated to the max for an almost living and breathing city. However if you wish for clear streets whilst you carry out your punctual routes, then you might just want to turn cars off. The aspects that make Bus and Cable Car Simulator different to most sims is that there are just so many details and intricacies present that most would never even touch on. One of the most unique of them all is the fogged windows system, which will see your bus windows huff up as you drive around in the rain unless you turn your ventilation fans on. Then there’s the sound design which is all context sensitive depending on if you are inside or outside of a vehicle, and your distance, so if you like the pitter-patter of raining falling whilst you are inside a vehicle, zoom into cockpit view and you are in for a treat. If you are striving for money over rewards then not only can you drive to schedules to earn your keep but there are also a number of extra jobs that you can perform on the side; including maintenance on broken down buses, replacing old timetables at bus stops, bringing fuel to another driver, and even taking over a service. Aside from spending your money on new vehicles and spare parts, there is a wealth of options to waste your money on including a vast array of sunglasses, a less run-down apartment, and new and exciting cars. Unfortunately to those simulator fans that are hanging onto their old PC’s, Bus and Cable Car Simulator really needs a mid to high end PC to really appreciate it, and most importantly of all it needs a good Processor, I warn you now, if you attempt to play this game on a low end PC, you will be playing a mere shadow of the game that you could be playing. What makes Bus and Cable Car Simulator even better than Grand Theft Auto, Bus Simulator 2 and any other open world game is that you can actually jump aboard an AI driven bus, and be driven around to schedule across TML’s constructed San Francisco. 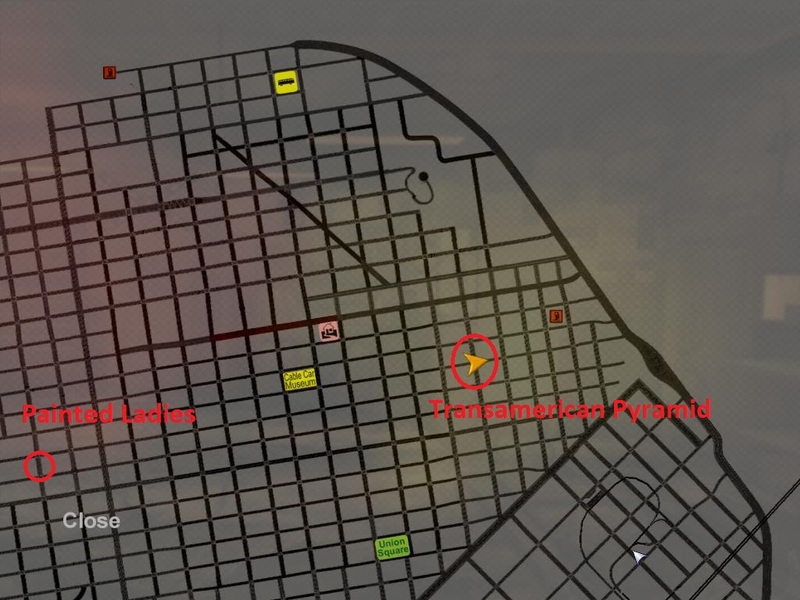 In fact you can even get a little sightseeing in whilst you’re at it, and visit Fisherman’s Wharf, Union Square, The Golden Gate Bridge, and the Transamerica Pyramid to name a few of the locations ingame. Bus and Cable Car Simulator is not just a pretty face too; containing over 8 classes of vehicle, each of which has its own handling system which ensures that you won’t get the same experience from a Cable Car or a Diesel Bus. Not only do they handle different but each vehicle is also highly detailed with their own personal dashboards, buttons, working dials and lights to inform you exactly what your bus is doing whilst you are driving it. However, the real icing on the cake is found in your vehicle maintenance; most vehicles can suffer commonplace faults such as broken fan belts and blown fuses, to fix these you can either call in support from your headquarters, or fix it yourself, and we aren’t talking a couple of mouse clicks! If you liked punching tickets in Bus Simulator 2, then you’re going to love the bus interaction required of Bus and Cable Car Simulator. Each passenger will board, say hello –if they’re in a good mood- you can say hello back, you then have to type the required money on the cash register for the fare that they owe. But it’s not that straightforward, because you’ve five different fare groups to remember across 3 different lines, and although you cannot alter your fares, there’s a lot of variation in the routes that you’ll be driving. There's just so many other features that we haven't even hinted at, like the dynamic weather system that range's from a calm summers day, drizzle or gale-force winds to true torrential rain. Or the unique compressed air system that is as true as possible to the real-world counterparts. Then there's the realtime soiling on your bus, that will get your vehicle dirty over time; requiring a nip into the nearest car wash. Not to mention the factor that your avatar is not superman, and needs to sleep or you'll find yourself nodding off at the wheel. TML have taken so many small concepts into consideration, it is astounding. Just like TML Studios’ last game; World of Subways London Underground, Bus and Cable Car Simulator San Francisco is a shining example of what they hold important in a simulator; graphics to excel that of most mid budget titles and the intricacy and detail to sustain even the most demanding of simulation fans. Once you've played Bus and Cable Car Simulator, you won't ever look at another second-rate sim in the same way. If you like your simulators large in scope; practically endless and full of intricate details and obscurities that a true enthusiast will appreciate then Bus and Cable Car Simulator is going to knock your socks off. Fans of Bus Simulator 2, prepare to be blown away. Bus and Cable Car Simulator San Francisco is available September 9th in all good retailers for the SRP of £24.99, you can currently pre-order it on the Excalibur Publishing website. Unfortunately, because the game poses such a different game experience on a minimum spec system, I had to give Bus and Cable Car a slightly lower score, however if you do play it on a mid-high end system, then it is most certainly 5/5 material, simulator fans will not know where to begin with this fantastic game, and it is most definitely worth the price tag. Ah Joe, I was waiting for you to arrive on here :) The game should be compatible with steering wheels, however there isn't an extensive list. I have read that there is issues with combined pedals, and you will have to turn these off on your computer's steering wheel settings. There is a demo that you could try out with your steering wheel, it would also be a good idea to try the demo out before you buy it anyway, because it didn't run very well on my PC, I had to play it on my sister's. You can download the demo here I recommend the game highly, but if you're computer has trouble running it, it is nowhere near as fun :(. Let me know if you have any luck with the demo! How do I get out of the flat. I have tried everything and none of the keys work. When I move the mouse the room rotates and it comes up leave flat or use switch but can't go anywhere. To exit your flat there's a brown door, just walk up to that, when it comes up with 'Leave Flat' just press the Left-mouse button. Unfortunately like I said in the review, the game does not run very well on low spec PCs. However TML Studios have put together two screenshots for the best way to play on a low spec PC. You can find the screenshots here and here. hey Charlotte I have trouble with the demo i can't download it! I'll try to get more info if I can use the steering wheel on it. If you have anything that can help tell me plz. I do not know what to charge the passengers for each fare any1 know? what do i pay the passengers for their fare? Hi John, this is one of my favourite parts of the game. If you look in your bus, or in the manual there is a fare tier for different typea of passengers. Most will fall under the standard rate, which I think was $2. If the passenger requires a different fair these are priced differently. i wrote this last time: what do i pay the passengers for their fare? But i cannot find the manual so what do i do to get one? The fare is entered via the keypad of the cash register. Confirm by clicking "#" with the mouse. click the "F6" key to return to input mode. Good news! I found the Transamerican Pyramid, and Painted Ladies. I've circled them on this map. My sound doesn't work. PLS HELP!!!!!!!!!!! darth layto Check the audio. I've checked the audio and all is cranked up to the max. Sorry Joe I'm not sure about that! Can some1 map out all the hot-spots on a map for me pls?? And also can some1 PLS PLS PLS tell me how to fix my sound prob!!!!!!!!! for Bus and Cable Car Simulator San Francisco. What website should I access to pay by credit card? Hi there I just got BCCS and i dont have any traffic i see the odd car and i want loads of cars and buses how do i do this i have got the the AI set to full (to the right) is this correct? i need help, im trying to create my own route following the maual instructions but i cant find the map that gives you all the bus stop numbers so i cant continue with the schedule editor, do you know where i can find the map required as i have found everything else but!!!!! i dont have Steel wheel...yet i use keyboard for UP and DOWN and LEFT/RIGHT but Left and right is not work UP and DOwn is work..
i have the same problem with the left click on the door it worked once but then i started a new game and now it doesnt, anyone help me with this???? Hi Admire, unfortunately as we stated in the review, so machines will have a hard time playing the game, however sound should be on automatically. Lee the jobs with the pickup truck can be found at your local bus depot, just go straight into the office and you should see some shelves with papers, go up to them, and those jobs all use your truck. MGB to get more buses all you have to do is make a load of money and go to the showroom on the west of town. how do you turn on the mirrors? when i go to the settings where it says "vehicle mirror" it won't let me turn it on. can you help me? hey charlotte i am getting this game soon and i was wondering if you can can u send me all of the controls of how to work the bus if u can??? hey another thingI was wondering if these buses can pick up wheelchairs?? and another thing how do i create my own routes?? can i just change the number of routes? Alright, sorry its taken so long but. Dustin: I am unsure why this would not be possible to change, on my PC I have the game set to the lowest settings, and I can still turn the mirrors on, sorry. You could always try downloading the latest update. Marquis: You can download the keyboard layout here, unfortunately there are no wheelchairs in the game, and the game comes with a schedule wizard that allows you to set up your own routes, you can find it in the Bin folder of the installation route. Joe: Unfortunately there is not a psd available despite what the schedule wizard's manual says, there is a clear JPG version that you can download one from TML's website though. Brendan: Unfortunately noone has made a map for the places of interest, perhaps I should do this at some point, because a lot of people request it. Perhaps if I have some time this weekend I may give it a go. In order to drive you've got to turn the engine on with E, take the Handbreak off with Tab and You may have to switch up a gear with PgUp I can't remember if you have to shift gear or not. If you're experiencing bad slowdown, TML produced a couple of screenshots of how to change your graphics settings for the best performance. You have got to drive around a heck of a lot, I know Joe was aiming for this, not sure if he got it, you just basically have to stick to driving around as much as possible. If anyone has unlocked it, do tell how many kilometres you need to drive to get it! I believe that's just a warning from your head office, if you press enter on the keypad it should go away and continue to say your route. can u change the bus route number?! Hi, i did post back in January but got no reply. Does anyone know where i can get the map needed with the bus stop ID's on so i can create my own routes :) thanks. Apologies David E, I have asked the developers of the game about the maps, as the only ones they provide on their website is a clear jpg, and they do not seem to have the bus Stop IDs maps anymore, hopefully I'll get a reply, if I do I'll post it up here ASAP! Admire you can find the screenshots here and here. Marquis I believe you can't change existing routes, only make new ones sorry! Alright! The Map templates can be downloaded here! What is the speak button for on the on board computer. hey I have Intel penium 4 with 3.2ghz processer computer and when I play the game it says target format not supported do I need to download windows sp service pack 3?? Then you would still need sp3 on Windows XP :D I don't make the game marquis, sorry, I just write about it. Why is there a speak button for on the on board computer. Brendan if anything it will be for a voice calling out the bus stops for passengers, thats how its worked in previous games. Never touched the button myself though so I can't vouch for that being solid fact! hey I was playin the game soo good then all of a sudden it shut off sayin luncher exe stop why is it doin that?! Sorry Brendan not sure on the reward, however you can buy sunglasses from any of the petrol stations littered across the city. ok if I set it to a high graphic on the game could it still do the same?" So are you saying the game wont start at all? Eeeek :( I would ask TML on Facebook, they make the game, and if they don't get back quick enough, a reinstallation may be your only option. I asked them a question yesterday and they got back within a couple of hours. Your save data should be stored in your Documents folder under \BusCableCarSimulator hopefully you can keep that and use it so you don't lose your data if you do install it again. I have windows 7 and it have that luncher exe they say luncher exe stopp certain stuff is there a way that I can delete luncher exe? no no no, don't delete that or you won't be able to run the game! Sort of looks like re-installing the game. If the problem still happens then I really recommend contacting TML Studios. No, the disc isn't required, I give it a play everynow and again, don't have to have the disc in to do so. hey thanks and where is the showroom the spot i buy buses at?? and is it true that if u runnin low on gas on the bus that the air pressure wont load up? Alright, here's a map showing where the showroom is where you buy the buses. I'm not sure about if you run low on gas that occurs, however if you are unable to gain air pressure on your bus then you need to go to a gas station and buy a new fan belt. ok and can tell me how to change the sign to out of service and if there more signs that i dont know about tell me!! and what do a fan belt to a bus speed it up or somthing?! and how i use the fanbelt?! The fan belt is only required as a replacement if your existing fanbelt packs up, it controls the air pressure in your bus, you already have one in every bus, it doesnt do anything special. To get Not in Service to appear you press 'Route' and then code 99. You'll only use not in service there are no other signs. I don't know marquis, as I stated in the review you need a mid-high end system to play the game how its meant to be played, otherwise you need to play it on low graphics like I do. There is a pdf that explains how to create a bus route in the installation folder, not to mention that the manual is in there too, I am not explaining it in a comment because it is far too complex. wow thanks I dont even know where the installation folder at is it in the game while u playin? I've got everything on low, and it plays alright, get a little juddery if theres too much on screen, but my PC is built to travel around, so its not got a very high spec. Considering that the game is german, I don't know why you are seeing chinese anywhere, if you can't find the folder just search your computer for Manual_ScheduleWizzard for how to make a bus route. Or Manual for the game's manual. are there any other signs that can be on the bus and when I make the bus schedule how I'm supposed to know were to start at?! I was just wondering if anybody knew how many kilometres I have to drive in the Diesel bus to get the "Let the Diesel Smoke" achievement and how many kilometres I need to travel to get the "Drive like a maniac" achivement. and I was also wondering if I'm out in the middle of no where and the bus brakes down I have no gas or no fanbelt would I do can I do just call somebody to come and fix in case I dont wanna fix iy myself? Apologies, my PC is broken, I cannot answer any of your questions until I get it up and running again. When I go to Settings then Audio, I see this bar that says, Music Volume. What is that for? Is there a radio or something like that in the game? Hi Charlotte i have a problem with my game that is when i play then my game works slow as if it is in slow motion. I really want to play my game. I installed it from my cd. Please help me in this. Hi Cameron, not sure to be fair, there may be a radio that you can turn on in the truck, otherwise, never remember hearing any music in the game! Hi Ravesh, yes, if the game runs really slow, unfortunately you are going to have to turn your settings down. The developers have screenshots to show you how to get the best performance on your PC here and here. how do you get the drive like a maniac positive reward? One again, I was just wondering about how many kilometres I have to drive in the Diesel bus to get the "Let the Diesel Smoke" achievement and how many kilometres I need to travel to get the "Drive like a maniac" achivement. how come when I drive in day time the game goes normal speed fast but when night hits the street lights come on then the game start goin slower ?!!!!!!!! Hi Ravesh, i know your problem with the slow motion. You have to have your computer plugged in to electricity. It happens to me when my computer is not plugged in. is there a way that I can Change to another route without having to go back to the garage ????"!!!" so Marquis, the probable reason of the game going slow when it hits night is because it's rendering all those street lights which your computer is having trouble coping with, and I believe in order to change route you have to return to the garage. Marquis, Bus & Cable Car does not need the disk to run, so there is no reason that the disk is a problem. I run it from my installation, which requires no disk. Local GAME stores should stock it. well can u tell how your game work on your oc do it crashes or it goes perfect ?! and when u got the game was the game in a box case or something and how long did it took your game to install ?!! and what brand of computer u have???!! On my PC which is a very modest PC, the game runs alright, but has to be played on the lowest settings, I had to play it on our editor's PC on which it played perfectly. It probably took about 10 minutes to install I don't remember I was sent the review copy a long time ago, which was installed from a disc. I am running an AMD Phenom X2 555, what really drags me down is my Radeon 5570, as I stated in the review, and have mentioned countless times in comments is this game requires a very very good computer to run it properly, if your PC is not a high spec, it will have trouble when playing the game. Yes it had a case, Excalibur simulators do not come with manuals, they are found in the installation folder. Gamercast is a website that posts news and reviews, we have an editor who has to proof read all of the content for the wwebsite, her PC is very good. The recommended spec for this game is very high. Who was this computer tech? Because games rarely run on disks these days, I am an avid PC gamer, and as I keep saying Bus & Cable Car Simulator requires a very high spec pc, simply meeting the minimum requirements will not allow you to play the game perfectly. To get good performance I was playing the game on a quad core machine, the game does not require a good graphics card to play, but a powerhouse of a processor, back on the old forums for Bus & Cable car there were threads upon threads of people discussing performance issues. I mentioned in the review that you need a good pc to play the game propely and I still stick by it. I just got the game but I have a major problem which is I can't steer left or right using the keyboard arrows. Have contacted Excalibur but haven't responded in over 2 weeks! Can someone PPPLLLEEEEEEEEAAAAAAASSSSSSEEEEEE help me! You dont have any other sort of peripherals plugged in do you? I have already taken the handbrake off and shifted the gear up and done everything required but the steering still doesn't work. The lights, the accerlerate and brake work and the engine and everthing works but the steering doesn't. I have a joystick, a printer and a webcam plugged in. I'm not sure if this would affect the game. Oh really? Try unplugging the joystick, see if steering works then, it may be attempting to use the joystick for steering, despite the fact you do not have it set up for playing :) worth a shot? How exactly do you work the onboard computer? I'm confused! Thanks! So when you first get in your bus you press I to see it, before you start your route you are advised to set it to 'Not in Service' this can be done by pressing 'Route' '99', and then 'Enter'. Hi again Marquis, I'm sorry but I do not know what the problem with your game is, I'm just a fan and general PC gamer, if you have problems you should contact the developers TML Studios like I said originally! I wanna know what will happened if get into an accident and I put the code on the on board computer for accident would like an ambulance come or what?! please help my schedule wizzrd dont work everytime i try to load an map on it just closes back off what i do??? Help, my bus will not move from the depot! I took a route with many cable car crossings, and everytime I go across such a xing, it makes a terrible crashing sound, I get the message that I didn't release the cable in time, and I get a $1000 fine. The manual isn't clear about it at all, and I tried several times to get across a xing, but everytime I get the crashing sound, the message and a $1000 fine. I'm now $11000 in the red, so that kind of takes the fun out of it. I don't know what to do. The leverage sometimes is set back and on other tracks it is set to front. Changing it (arrow up and down) while going across the xing doesn't help. Still get the fine. By air presser do you mean the guage that starts going up on the info screen, that you have to wait for to close the doors? I can't drive the pick-up in the beginning i start up the engine i hear the torque, i see the steering wheel rotating but the car doesn't move? Someone help me plz! Can somebody please tell me where Coit Tower & Lombard Street are. I can't find them ANYWHERE! coit tower is on the right hand side where u see a black thick circle. bram you should put the middle lever up before you go on the xing and leave it like that till you pass it theres a line to tell you if u can pull back good luck. yeah press f1 you will see it. joe do you know how to make your own route? colton yes I do what do you need to know? i need like help finding the application to do it. i dont know what to search to make a route do you need to download something or do you search it in the start menu button at the bottom left? having trouble installing the game on my windows xp xp3. this is all i get from the game. this application has failed to start because the application is incorrect. re-installing this application may fix the problem. tried it and it doesn't work, am i doing something wrong? Can anybody please tell me how to save the game.Even though an autosave yellow circle rotates ofently I have to start the game all again from the flat.Please help me. 1. Where can I find the Map ID für the schedule wizzard? 2. If I take the pickup the light into the car for the turn light doesn't work. Hi Charlotte I was wondering what to if a passenger doesn't board the bus or tram. I get mad when one person doesn't get on and all the people after that person cant come aboard. What should I do? Does anyone know how many kilometres to drive to get the reward "Drive like maniac"? When this happens to me, I turn the kneeling (k) on and off several times, that usualy works! I have a problem with schedule wizzard. always when I try to open a map program stops working! Please help! sorry never happened to me? Can anyone tell where the coit tower is ????? coit tower is where the round about is on the right of the map . I can't figure out how to actually get passengers on my bus - please advise! @Joe - thank you, but it doesn't work when i try that - any other ideas? I don't want to sound condescending, but you've picked up a route from the office right? Not sure if they'll get on your bus without a route. this is the first time for me with this game .. Unfortunately to my belief there is still noone to achieve both the Drive Like a Maniac and All Roped Up rewards as they both require an unspecified amount of driving in buses/cable cars. You know what? I'll contact TML Studios and see if they'll let us in on the secret! Is there any cheat to get money or unlock all the good rewards????? Can someone please tell me the cheat to get money or get all the good rewards!!!??? charolotte did you contact tml about the rewards yet? Can anyone confirm which steering wheel models work with this game? I bought a TrustMaster Universal Challege- no luck with that wheel. To truely feel the reality of this game I would think you need to play it with a steering wheel. Roiz i have a logitech driving force gt wheel that goes 900 degress but in the game only goes 200 degress but it still works. the other logitech wheels dont work because of the gear pedale and gear shift. hope this works. Charlotte is their any way of making the logitech driving force gt can go 900 degress and not 200 degress please help. Benden to get the external view roll the mous wheel back and for the lagging u could change quality. ahmm im a filipino user of bccs.my question:is there possible to use mouse as steering wheel? or is there any program or software might be use the mouse as steering wheel?? Hi guys, quick question, i feel silly asking but how do you pick up items like chip etc.? Can someone help me please how do you fill up the bus drivers bus? unfortunetly you can not save the demo version and you cant get the game for free only buy it in shops or internet shopping. I tried to open the drivers window and i did i dont know how but i cant go any faster than 13 mph does anyone know hot to solve this ???? Hey Matthew Press the F4 button, you may have the bus lifted wont go any faster than 15 miles an hour. I've found caps at Treasure Island at the end of the dead end. Also front of the Pyramid building and on top of the Hill at the end of Lombard Street. I've also found one at the Beginning of the Cable car entry. Found cap at the Parking Lot across the street from the First Stop on the Road Car (The Train). did you put the route id up? In the settings for left and right is the steering wheel set and Quentin depends the time of day and traffic can be poor in the city check beside the highway or do route 900 and seee id traffic is bad or good. how many usb portals do you have? Hi,I can't play this game on my Lenovo C series computer because it says "Render target format not supported. how do you get the negative reward "sleeping tablet" and the good reward "pick me up"? you cant stop the game crashing its a bug and all progress on this game is over.TML have started bigger projects but never fix old ones thast why I stopped playing their games. Hi all, I have problem in the game Bus cable car simulator. - I play this game, and a fev minits this game have to stopped working. Exist repair patch for only problem for free download? please ask me. I do not change any routes or bus lines in the game or the game itself. I'm only limited to certain parts of the game like Marina, Cow Hollow Districts. HELLO, COULD ANYONE HELP ME BY GIVING ME THE LOCATIONS OF THE HUPCAPS? hello, my house door would not open with the mouse, i can't get out, can you please help me? I stop at every stop sign. No other driver does. When I wait, another bus, at times, will turn right onto my street and crash into me. Is there something I am not doing correctly? Thank you Joe for your insight. what do yuo mean by saying "i can't change trolleybus or streetcar" I dont understand. Can anyone tell me how to adjust the mirrors on the diesel bus? How do I keep from getting rear-ended all the time? It seems I can't finish a run without this happening. If all the problems are solved thats my work done see you on the next bus simulator. I can't wait Joe, It'll be sad to see you go! I will always be back if more problems come up so fingers crossed I can help. my prob is about the passengers. they just say "hi driver" then past thru me and sit in the bus. am i doing wrong here or is it part of the game? or is there something i can do bout it? i can't find any other forum about this game, and i don't know who to ask..
Its nothing to worry about its just part of the game they have a prepaid ticket so they just go in. I can't left-click. I'm stuck in my home and I can't sleep! Can I have the full map of B&CCS: San Francisco Please Charlotte. Can someone please answer my question plz? Sorry Issac, I'm currently working 10-17 hour shifts at my day job for the last two months so I've been a little busy to reply. I believe setting AI is only supposed to change the amount of cars, not pedestrians, I'll have to get back to you for your other questions. thank you very much Charlotte! I love your review! and I love this game. Hello, can you help me please ? I installed the UK patch..it doesn´t work..and when i go to settings click on "grafik" it crash..can you help me ? You have to buy trolleybus or cable car at trade fair hall which is located at south. Can I have some of the hub caps locations? Hi Charlotte, Can you give the Review of Omsi Bus Simulator? Please? C`è un trucco per aumentare i soldi? I am trying to play Bus- Cable- Car Simulator DEMO. But, when I start a new game it won't start. Then I get a message: ERROR: Render format target not supported. What can I do? I have Windows 8.1 and I don't know what I need to do. I am sorry for my bad English, I am from Holland ;). Hope to hear from someone soon. Ok.. I have a same as everybody else. I cannot leave a flat. Clicking the mouse does not help. Only room is rotating. What should I do to enjoy this game...too bad there is no tutorial. I have had this game for a couple months but have been unable to enjoy the game because the video does not match up with the audio. Its like the video is in slow motion. i thought maybe it was just the game itself so i purchased Train Simulator 2014 and i am experiencing the same problems! Can someone please help me out?????? I feel like a twit here, i purchased the box version of this game. And the only thing i can find now i want to install onto my new machine is the bloody case, NO DISC! Is there a way i can download it with out paying again? No more Charlotte comments. For those of you all stuck in the flat. use the (ASDWX) keys to walk around. I use the "A" key for forward and then I use the mouse to turn in the direction I wish to walk. Walk to the door next to the refrigerator and then press any mouse button preferably the right to exit. As per getting a fuse, look on the map for Gas station and going inside the station to the lady behind the counter you'll get a menu when you are there to purchase the fan belt and fuse. Sometimes downloading the latest drivers may help and also going into settings and reducing the video quality (yucky). I have a windows 8 and the sound will not come on. I have tried everything including checking the sound in the settings. Please respond to this as fast as you can. 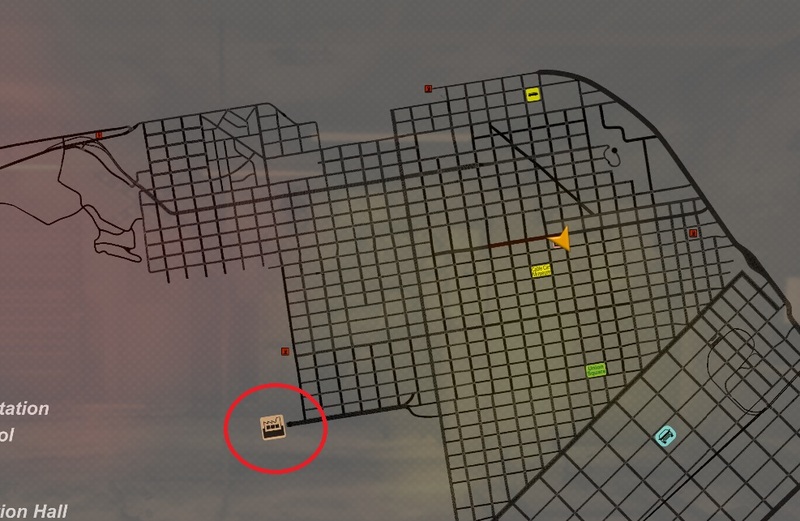 Can anyone send me the file for the san Francisco map with the bus stop numbers? I tried to download it from TML Studio's site but it looks like its no longer available. I don't even think they support the game anymore. I cant find those maps for the schedule wizard anywhere else. the game is all good except..... I can't get my USB steering wheel to work. I tried EVERYTHING!!!! please!! Help!! Wow this review still gets visitors? I havent played the game since 2013! !